Tata Capital Housing Finance has released a new ad campaign themed ‘Because memories cannot be shifted’ (Kyunki yaadein ghar nahin badla karti). It stems from the insight that when one shifts (rented) houses, there are some things around which the fondest memories are created, that cannot be shifted. The campaign thus highlights the significance of an owned home. The communication features situations which most people can relate to, such as the window which one grows up looking out of, the wall on which siblings usually have their heights measured, a loving mother-like neighbour and childhood pals. 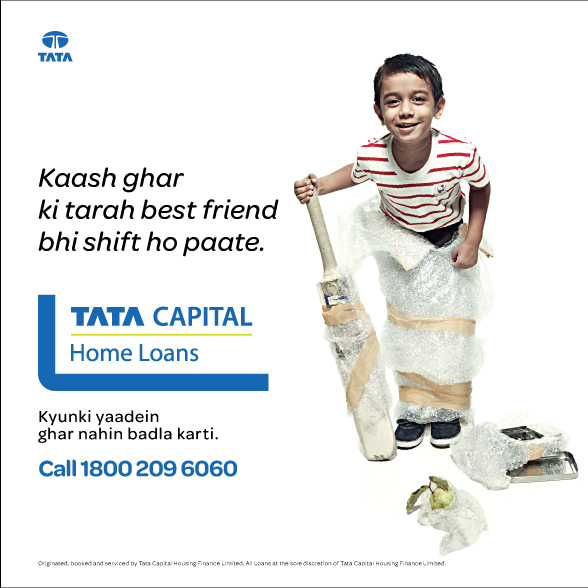 The campaign goes on to convey the message that Tata Capital offers customised home loan solutions for its customers. The campaign will run for a month starting 6 December 2012. It has been released across print, radio, outdoor and online media, in markets including Mumbai, New Delhi, Bengaluru, Pune, Ahmedabad, Indore and Raipur.